I am so proud of you and your movie project matey. I am envious of your experiences. I am too stuck in my ways to get something like this done. 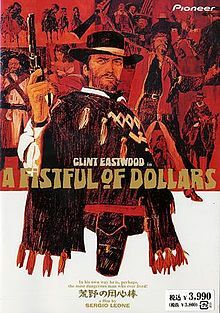 A Fistful of Dollars is probably my favorite variation on the Yojimbo story–aside from Yojimbo, of course. I remember finding out that this was a remake of Yojimbo. I had never seen it so I rushed down to the local video store and checked it out. I like it…but, it was much more verbal. The lead character had a machine gun mouth compared to Leone’s film. I know, I’ve heard the post apocryphal stories of Eastwood ripping up reams of his dialogue. I did help though. As much as I am a fan of Yojimbo as well, it suffers from the Japanese preoccupation with huge amounts of dialogue. Great look at the film and the genre. Aw Leone we hardly knew ye. Hi Mike, sorry for the late reply — somehow your comment got sent to my spam folder. I tend to agree about Yojimbo. It’s a great, great film, but it is a bit more methodical than Fistful. I would like to revisit it, now having seen both. Thanks for the kind words. Isn’t it a great one? Well done, Eric. It really is. Thanks, Michael. I love that whole trilogy so much. I planned on watching For a Few Dollars More right after, but my copy was screwed up. I did see The Good, The Bad and The Ugly years ago and really liked it, though. Can’t wait to revisit it. I loved a Fistful of Dollars when I first saw it, but then I saw the far superior Yojimbo, and AFoD didn’t look so good by comparison. I still like it, but I would so both For A Few Dollars More and The Good, the Bad, and the Ugly are much better. Interesting. Now I’m even more excited to see For a Few Dollars More. I should revisit Yojimbo as well, now that I have seen both. I still need to see this one, most of the Westerns I’ve seen have been Gregory Peck’s 😉 I did like Clint in Paint Your Wagon, I think that’s a Western?? Not sure, but he sang in it. Considering that I loved The Good The Bad And The Ugly (1966), I ought to give the rest of the trilogy a watch! I hear ya Chris, that’s why I ended up adding the first two Dollars films to my project. I saw The Good, The Bad & The Ugly years ago and enjoyed it but never got around to seeing the whole trilogy. Hope you’re able to see A Fistful of Dollars sometime soon — it has held up quite well, I think. I gave the Eastwood/Leone Trilogy to a buddy of mine in the State Dept. before a six month assignment to Liberia years ago. He played the hell out of it before the locals tried to take the Embassy there. 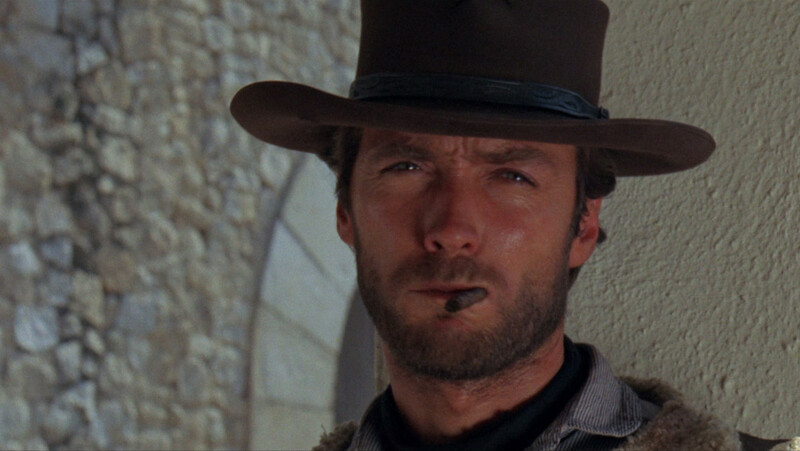 ‘The Good The Bad And The Ugly’ has one of the best, maybe only three way showdowns on film. Very nice take on ‘Yojimbo’. Thjough, ‘Last Man Standing’ is much more Dashiell Hammett’s ‘Red Harvest’ than ‘Yojimbo’. Hi Jack, that’s pretty awesome about your buddy. I’m with you on that final showdown in The Good, The Bad and The Ugly — very few, if any, can top that. Didn’t know that about Last Man Standing, but I am curious to read Hammett’s novel. It must be a great read if it has had so many adaptations. Thanks! I was surprised with how well this holds up today.